You can also view the Museum’s 2017 “On Board” Narrated video made by Lou Oates. 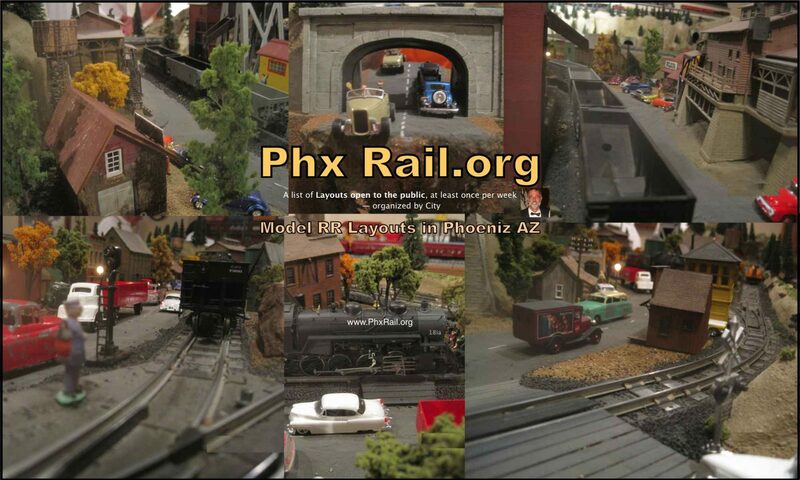 Video #251 Phoenix: Arizona Big Train Operator’s Largescale “Extreme Gravity Track” in operation (Feb 2014). Casa Grande: Vince S’s VES Enterprises model railroad structures at gTrainBuildings.com. Mesa: Murals By Gardner – Largescale Outdoor RR Wall Murals – CLICK HERE to view some examples in PhxRail’s Picasa album. See also MuralsByGardner.com. Phoenix: Dan Hoag’s Eaglewings Iron Craft – Outdoor largescale iron modules, bridges, & buildings, website at EaglewingsIronCraft.com .